#CauveryCauldron #CauveryProtest are just a couple of hashtags trending since the 12th of September. Miscreants or maybe even political workers have stepped on to streets and have set the city on fire. Vandalism has always been a part of any political dialogue that comes up regarding Cauvery dispute. A river that would be honoured to know that two states are fighting over it, but completely ashamed when she knows how!! So what’s the Cauvery dispute all about? Historically the dispute dates back to the British era. In 1924 an agreement was reached when Karnataka, then known as the princely state of Mysore reached an agreement with Tamil Nadu, then known as the Madras Presidency. 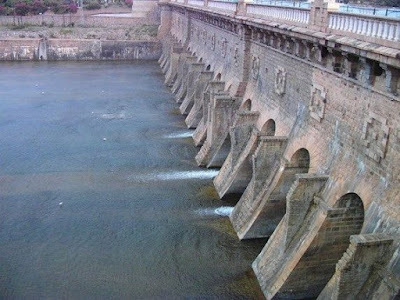 Mysore was permitted to build a dam at Kannambadi village to trap 44.8 thousand million cubic feet of water, and let the remaining flow into the neighbouring state. The agreement was valid for 50 years and was supposed to be revisited. However, the two states were unwilling to accept the agreement and soon after independence, they took the dispute to Supreme Court. Karnataka wanted changes in the clauses of agreement after 12 years of independence, but Tamil Nadu wanted the agreement to last till the allotted 50 years, i.e. till 1974. In the 1970s, Cauvery Fact Finding Committee found that Tamil Nadu’s irrigated agrarian land proportion had increased from an area of 1,440, 000 acres to 2,580,000 acres, while that of Karnataka stood constant at 680,000 acres. The water demand for Tamil nadu especially for irrigation increased multifold, but Karnataka refused to part with more than allotted, else there would be shortage of drinking water for its people. Karnataka is India’s second most arid state after Rajasthan and therefore extremely dependent on monsoon. Every time monsoon fails in the state, which it did this year, there is water shortage and this dispute erupts like volcano. SC’s solution which it provided by ordering Karnataka to release 15,000 cusecs was modified to 12,000 cusecs over 15 days was apparently unacceptable to Kannadigas who then went on a rampage plundering public property in Bengaluru on the 12th of September’16. The solution to water shortage has to be dealt with scientifically and not in the unruly manner that has unfolded in the city of Bengaluru. Buses being burned in a depot, trucks with TN registration plates being vandalised, young boys being attacked for their biased FB posts; all this is manifestation of a society going intolerant. Of course violence by miscreants can be controlled by the police force, but it wasn’t visible, and therefore what’s apparent is the political link to hooliganism. However, all of this remains a speculation unless politicians come together to find a rational solution. Until then this dispute will fester like an old wound whenever one state is ordered to release water and the other one demands more so.